It's been a very long time since I posted anything on my blog. We are still homeschooling and will continue to do so for the near future. Life has completely changed since I started this blog. In July of 2011 my mother discovered a lump in her breast. It was cancer. It had already spread to her spine by the time it was detected. She passed in December of 2011. My brother and I had barely caught our breath over that when our beloved grandmother - my mother's mother - was diagnosed with pancreatic cancer. She passed less than a month after her diagnosis. In many ways she was my spare mother. Before I could get my mind wrapped around that my husband developed cellulitus of his left lower leg and was in the hospital for a week. Then my Pastor who had been such a rock throughout my mother and grandmother's illnesses and death left for another church. I was and am still angry with God. I have withdrawn from most social activity as a result. I do not feel apart of the church I have been a part of for the past fourteen years. I have no bond with my new Pastor - I have yet to hear from him. I have met and spoken with him when he first came to church. I do not know if this is God's way of telling me that we need to find a new church home or not. I am waiting. He will make it clear. Even if I get angry and rage at him and ask him 'Why me?' constantly deep down I know He will not give up on me nor His plans for me. 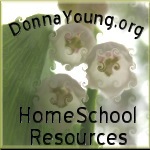 On the homeschool front I did a lot of examining of curriculum this year. We discovered Life of Fred and Teaching Textbooks - both big hits. Notgrass History is also a keeper and we went back to Apologia Elementary. For oldest's science I went with Biology 101 on DVD. I'm still trying to implement IEW because I really think it will work in the long run. Growing With Grammar, Soaring with Spelling and Winning with Writing are also big hits. I plan to post every day in 2013 and my word for 2013 is 'Faith'. There are - according to Bible Gateway - over 400 references to faith in the Bible. I will study one passage a day for the year. Hopefully I will be able to restore my faith and learn to walk more in Faith and not by sight. I also will be starting the bible study 'Come to the Garden' that goes along with 'Homeschool Supermom...Not'. I've gained a ton of weight from stress eating. I am committing to exercising every day. The boys got the Wii fit for Christmas and I got the workout game plus Just Dance 4. Oldest and I are already having fun with it. It's time for the healing to begin. 2013 - Faith.